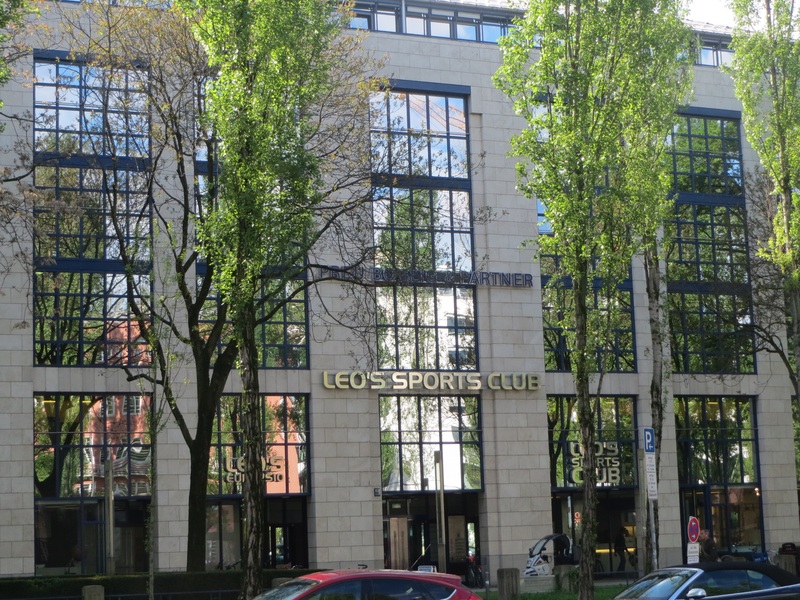 Our efforts to remain fit and prepare for the big bike ride along the Danube, include trying a Pilates class at Leo’s Sport Club in Leopoldstrasse, close to our apartment. 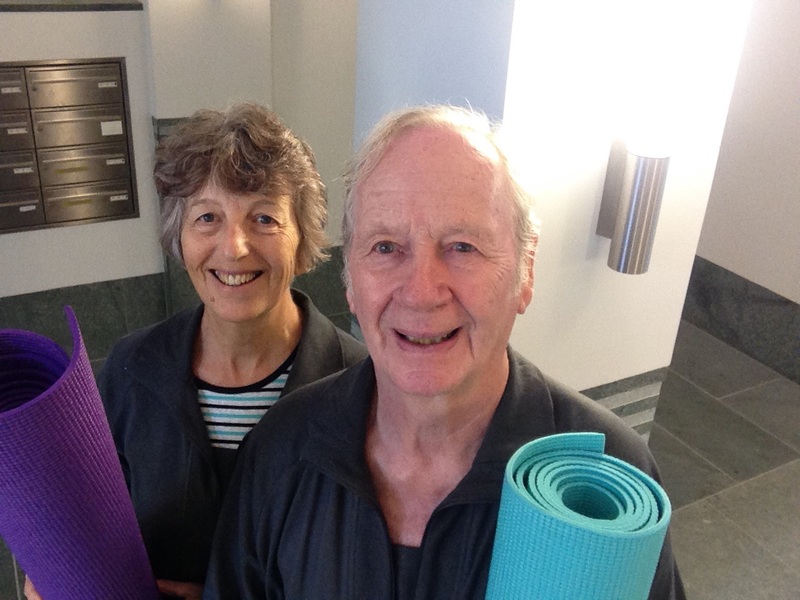 As it was raining and we had specially bought our yoga mats, we set off on Wednesday morning to Leo’s, a very flash gym hall with h undreds of exercise bikes and other paraphernalia. We located the ‘yoga room’ strewn with a few Indian cushions but actually a very clinical room with mirrors everywhere. En route. I was reprimanded by a very strict instructor via a variety of hand signals and unintelligible words, that I could NOT walk around the gym in bare feet. Fortunately I was able to whip out a pair of socks. Our dear friend Signe had lent Fred and I, two Givenchy track suits courtesy of 1st class (not us) Singapore Airlines, which we had donned for the class. My heart sank when the earlier strict instructor turned out to be OUR instructor and as she said ‘we will use the big balls today’, one of the other classmates said ‘the big balls mean torture’. We were obviousl y the oldest and Fred the only male, so we slunk into the back of the room avoiding as many mirrors as possible and the class began. I don’t know if you have tried to do exercises on these giant rubber balls but the chances are if you are a novice you are likely to simply to roll off inelegantly into your neighbour. I tried valiantly to lean over the ball on my side and try raising my legs but only ended up looking like a cockroach , which had just been sprayed with Mortein. Fred was much better. We survived the hour but our stomach muscles were certainly saying they had had a good work out the next day. 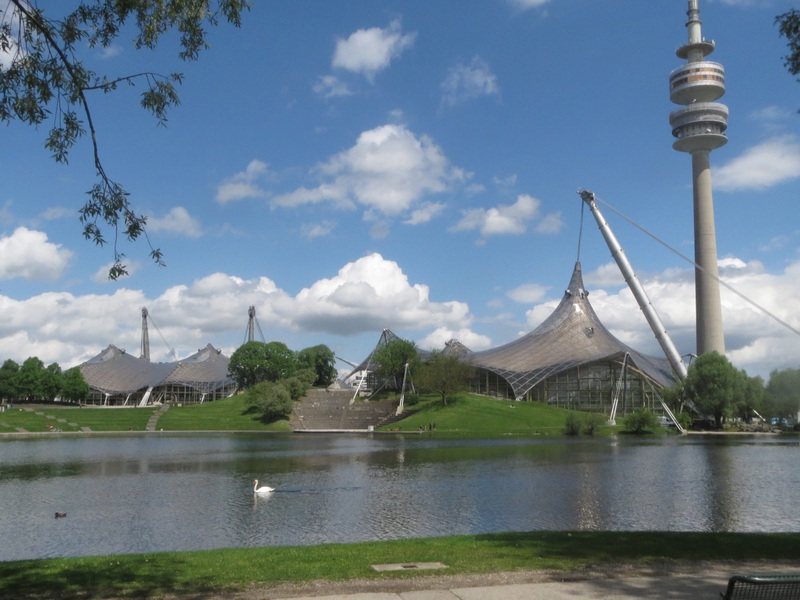 Thursday was our excursion to BMW world and the Olympic Park, site of the infamous Munich Olympics, where Mark Spitz won 7 gold medals in the pool (the most ever) and several Israeli athletes were murdered by the Palestine Group, Black September. 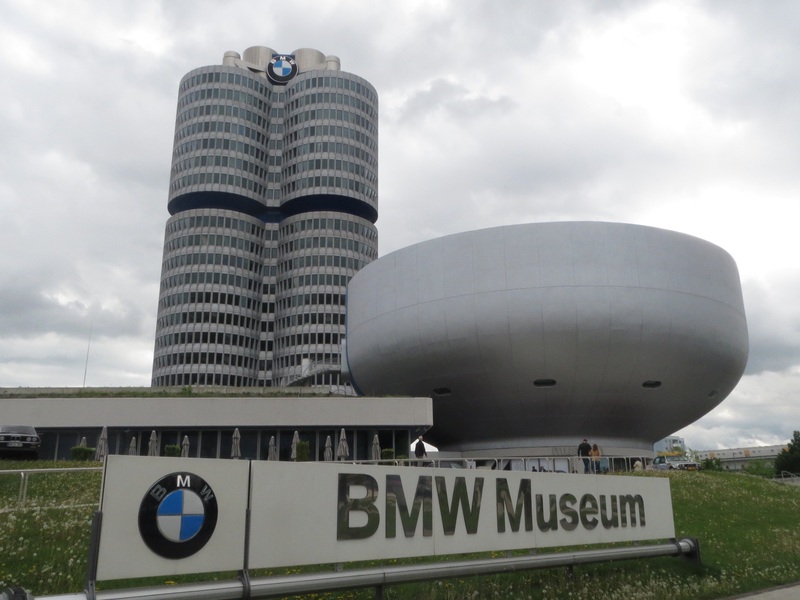 We needed to arrive at BMW World by 9am to capitalise on the few spare last minute tickets for the Bayerische Motorenwerke (Bavarian Engine Factory or BMW) Factory Tour. Having managed to secure tickets for the 3.15 tour – we’d been told by email that the next available tour was 8 July! 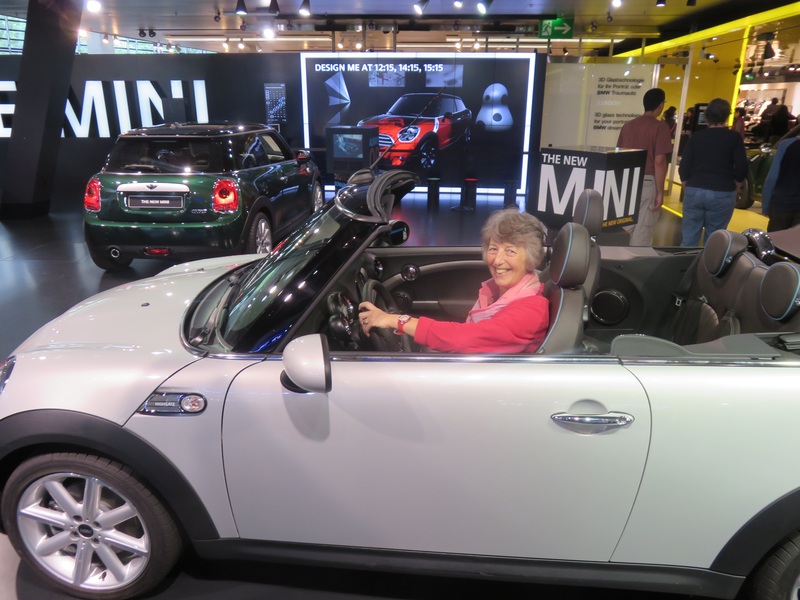 – we set off to explore the luxury of BMW, Rolls Royce and Mini, all manufactured on site by BMW. Well actually, most of the RR manufacture happens by hand in England but the initial metal processing of the body happens in Munich. 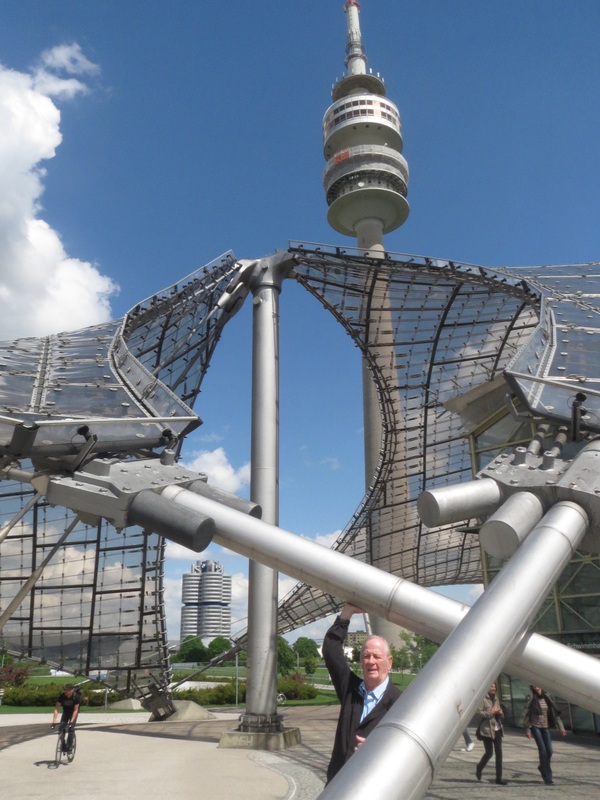 We could have taken a BMW model of our choice for a spin but as we had already driven the Fromme’s BMW decided we’d take the toy train ride across to the OLympic Park and have lunch. off the production every day. 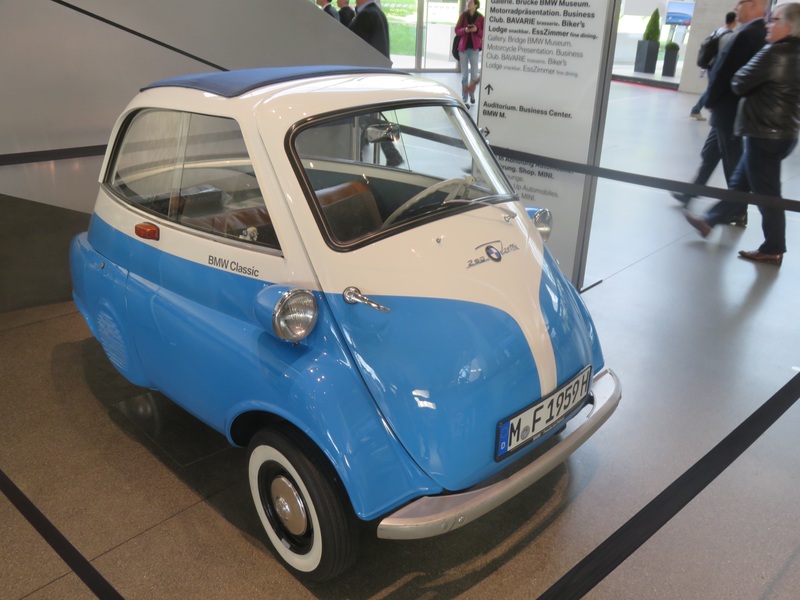 Of course as the car neared completion the robotisation moved from about 95% to only 40% and the insertion of seats, final electrical parts and quality checking were performed by humans. 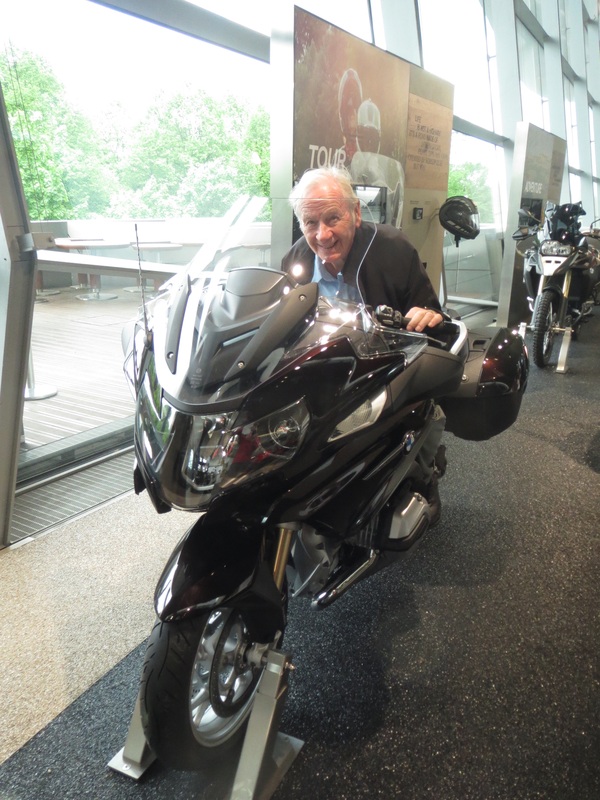 We will now have to save over €50,000 to buy a 1200ccBMW bike or snazzy Mini Cooper.